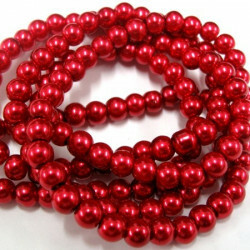 6 mm Glass Pearls There are 9 products. 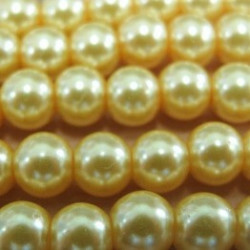 Strand of 6mm yellow glass pearls. Strand of 6mm yellow glass pearls. 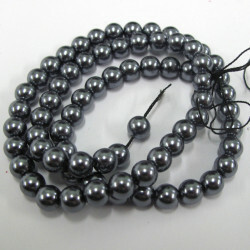 The strand has approx 39 beads. The yellow is a pretty daffodil. 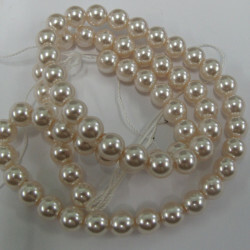 6mm vanilla white glass pearls. Pack of approx 70. 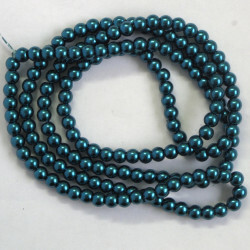 Enough beads for a small choker length. 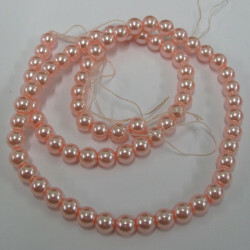 Soft peach 6mm glass pearls. Approx 75 per string. Enough for a small choker length. 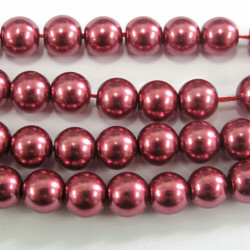 6mm Raspberry Coloured Glass Pearls, Approx 70 per String. 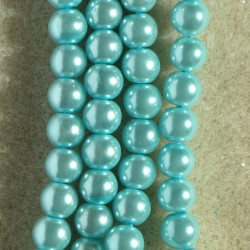 6mm Glass Pearls, Teal, Long String, Approx. 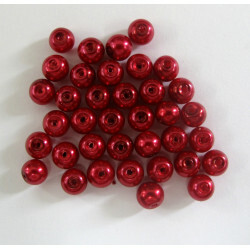 140 Beads.